Fortifying and soothing 48Hr hydration in a rich, refreshing cream. 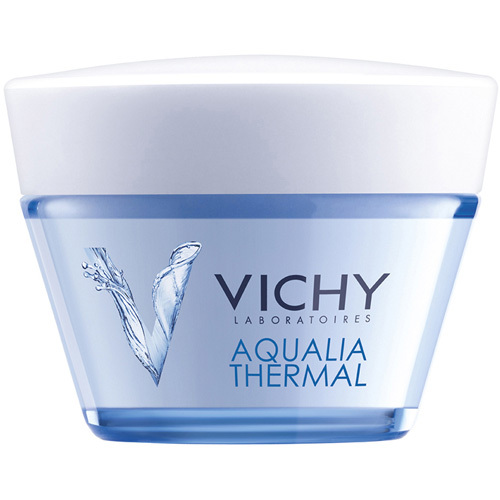 With mineral-rich Vichy Thermal Water and Activ Hyaluronine™ to help strengthen the natural protective function of the skin and soothe sensations of discomfort. I have been asking for face cream samples for a long time, trying to find a good one. While most of the samples I tried are good, this one beats the rest of them hands-down. It is almost like a primer and a cream together. My makeup looks fantastic over this stuff. Highly recommended. Apply evenly morning and night on face and neck either alone or under makeup. Smooth on gently until thoroughly absorbed.